What a blast! 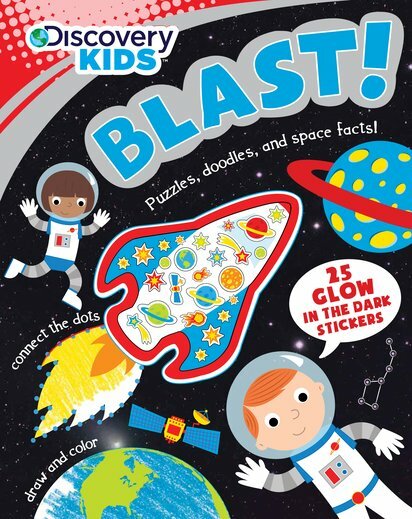 What will you like best: the space facts, the fun puzzles or the glowing stickers? No need to ask NASA to send you into space. This book has more thrust than any rocket. Calling all young astronauts! Open this book for: planets, moons and stars. Dot-to-dots, mazes and colouring. Stuff to learn. Puzzles to solve. Planets to explore. It even has 25 glow-in-the-dark stickers. Create your own faraway galaxy!